The call of biology. A.I.B.S. 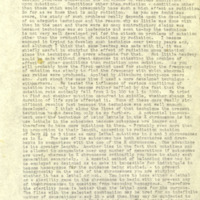 Bulletin, 3:4, 1953. 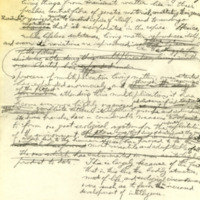 Copy with handwritten notes. 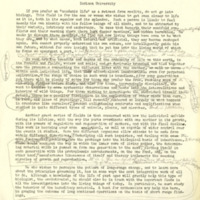 Handwritten sketch for review article on radiation effects by Hermann J. Muller, c.1949. 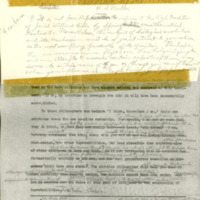 Typed talk to the Drosophila group of the Institute on Mutation Technique with handwritten corrections, 1939. 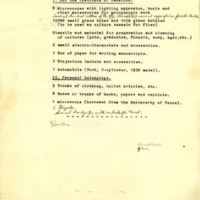 Typed list of materials to be brought to the Russian Institute of Genetics by H.J. 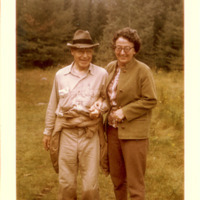 Muller and C.A. 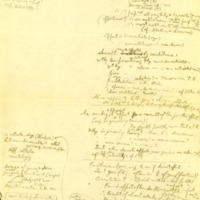 Offermann with handwritten notes and additions, c.1932. 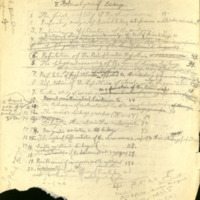 Handwritten outline in pencil by Hermann J. Muller for a monograph containing the pioneer investigations of chromosomes and analysis of linkage, c.1928. 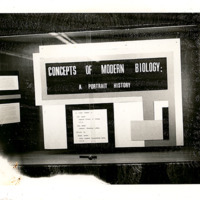 B&W photograph of a portion of an exhibit featuring Hermann J. Muller, put together at UCLA by Elof Carlson. 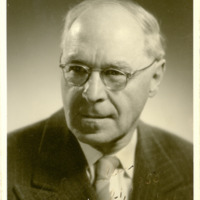 B&W portrait of Hermann J. Muller.